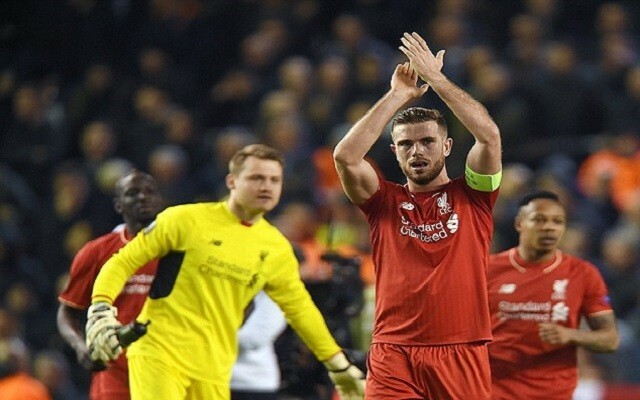 Jordan Henderson has been speaking about the stresses and strains of being Liverpool captain. It’s a huge responsibility, we’re a global club with one of the largest fanbases in the world. You need to perform at 100 percent every week, then balance endless photo shoots, training sessions, and media appearances – all while keeping a smile on your face. Henderson reveals it’s not always been easy, but he is now feeling better than ever about his future in the team and in the role. “I’ve never felt that I didn’t want the captaincy but there were times last season when I was very down because I wasn’t playing and I questioned my contribution as captain because of that,” he added. “I couldn’t help on the pitch as I wanted to and so Milly (James Milner), as vice-captain, had to take the role on. “It was a very difficult time and I was down. There were a lot of things going through my head and though there was never a time when I didn’t want the captaincy or doubted whether I was the right man for it, there were times when it was hard to feel like the captain because I wasn’t contributing on the pitch. Hendo was made captain back at the start of last season after the departure of the long-serving Steven Gerrard to the LA Galaxy. He had been Gerrard’s understudy as vice-captain in the 2014/15 season. There were rumours last week that we would be made England captain, but Allardyce stuck with Rooney. However, if Rooney stands down, surely Hendo is one of the leading candidates to take over?